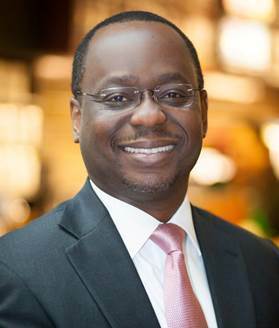 Sena Kwawu recently joined the VillageReach Board of Directors, bringing over 24 years of experience in finance and business leadership roles. His current role includes leading Starbucks partners in Global Supply Chain Finance, Indirect Sourcing, Core Data Management and Continuous Improvement. 1) What insights from your global supply chain experience is relatable to VillageReach’s work at the last mile? My current role has a supply chain focus, but I didn’t grow up in the supply chain sector. I come at it through a business context and analyzing financial systems and performance within the supply chain. What VillageReach is doing is very relatable; it’s all about getting the right product to the customer where and when they want it, in the most efficient way. 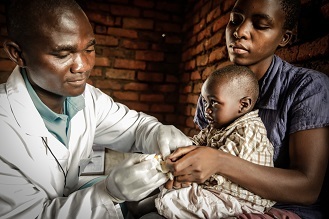 In the global health context, this means more than just delivering a product, it means ensuring the end user benefits, that people are getting the medicines and care they need. Access is critical. I’m from the African continent, I know it’s complex, especially at the last mile. What’s interesting to me is how VillageReach is exploring supply chain solutions outside of what has typically been done before in many countries. 2) VillageReach’s work to improve systems often requires challenging the status quo – what advice do you have for others around change management? My advice: Healthy impatience combined with diligent execution in telling your story. Healthy impatience because too many times when we think we know the answer, we get frustrated when others aren’t with us. Consensus take time. We have to be measured in our approach and quick in execution. I use the word diligent execution because change management is more than an exercise of bringing people together to talk about new ideas. It’s about the right message at the right time for the right audience. It’s not a “one size fits all” approach. When I think about my experiences, I’ve come to appreciate a methodic approach, it’s worth taking the time to understand your audience and develop your story in a way that is going to resonate most. 3) What most inspires you about the mission of VillageReach? Innovation requires out-of-the-box thinking to develop high-impact solutions. My personal charge is to be an out-of-the-box guy—I may not always be the most innovative, but my six sigma background helps me to add value and appreciate how simple solutions can solve complex problems. I’m inspired by the way VillageReach thinks outside-the-box to develop innovative solutions for very complex global health challenges. 4) Where can we find you / what can we find you doing for fun? I love being outside—anything outdoors, especially playing golf and just being at home in the backyard with friends and family. Seattle is the perfect location for us. It’s the 6th place we’ve lived in 25 years. In all our moves, we felt most at home in Seattle. When our jobs took us elsewhere, we couldn’t get Seattle out of our minds, and we are so happy to be back! 5) You’ve traveled the world sampling coffee – from where is your favorite coffee bean? My high school dormitory was located on a coffee farm in Kenya. Not surprisingly, my favorite is a Kenya coffee- it is bright, crisp, lemony. It pairs nicely with lemon cake. My favorite crafted beverage is the Starbucks flat white; it’s like a liquid hug!